Even in the age of lightning fast emails and instant messaging, every business still sends mail in one form or another. As a print company, we understand the power of post and the feeling when you receive something physical over online. We also know that branded envelopes can be a little costly, so our alternative is to seal envelopes with a little Sticker. Adding a sticker to the back of every envelope you post is a brilliant way of getting your brand on stationery, and it also lets everyone know who the mail is from before it’s even opened. The postie might even notice too! The key to great branding is consistency, so this little gem leads us from letters to packages. One of the last touch points of your brand is the customer receiving their product in the post. This means that not just envelopes, but also your packaging is the perfect place to leave a lasting impression on customers. It’s easily done with a few stickers on each package. Have you ever glanced up at someone’s laptop to see a big apple staring back at you, then taken a second look and realised that it’s only a sticker? We certainly have. 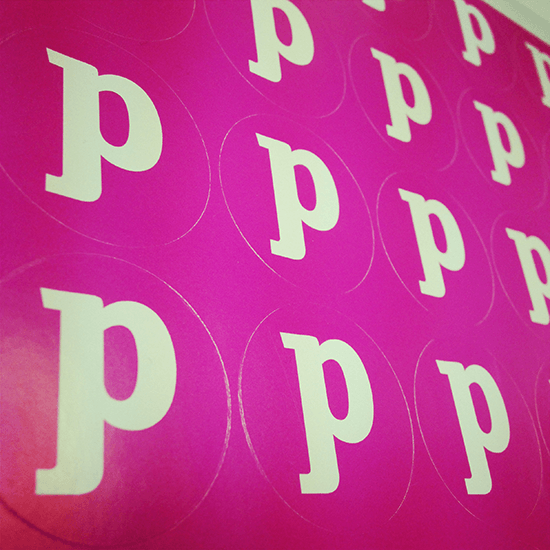 Those naughty little apple stickers get everywhere; we’ve even seen a few lingering around the printed.com offices. 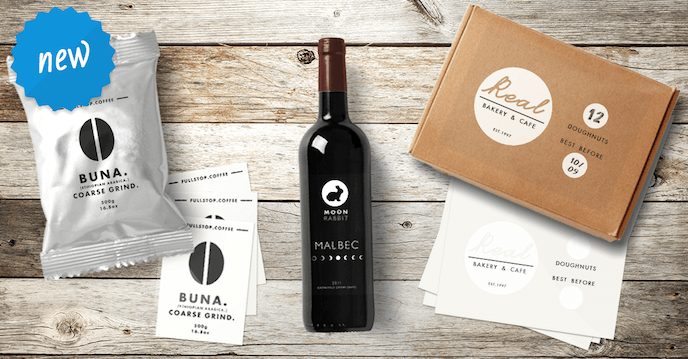 This is a perfect example of how sticking a few additional branded stickers in each products package can help spread your brand identity far and wide. Why not take a leaf out of Apple’s book and give it a go with your own brand? 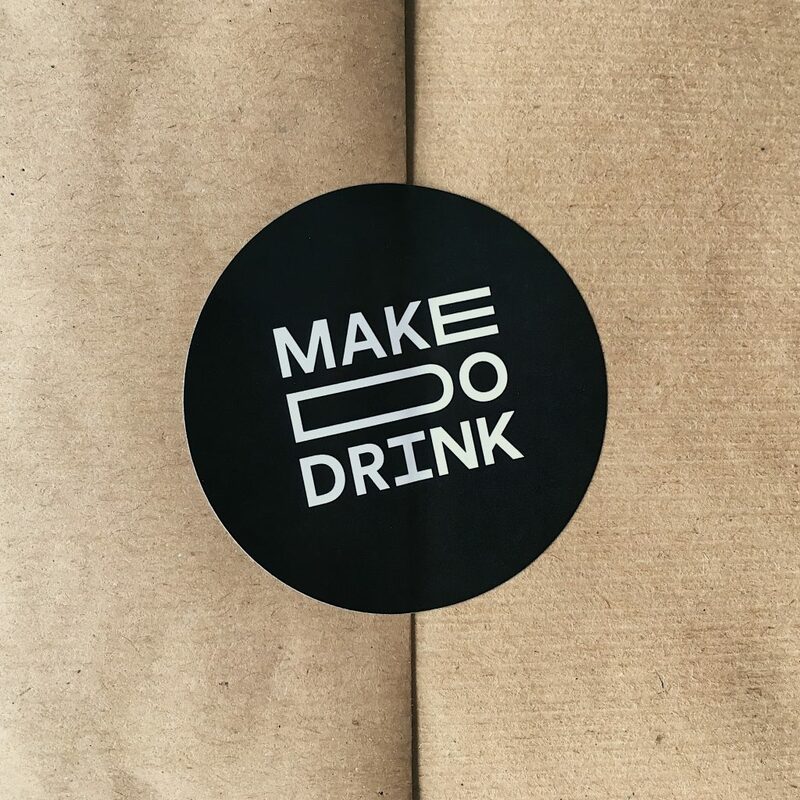 Why not create some special edition stickers to spread the word about your brand? You could do this for any number of special events from a holiday to a birthday or local event like a carnival or fete. It’s a great way to get your brand under customers’ noses. 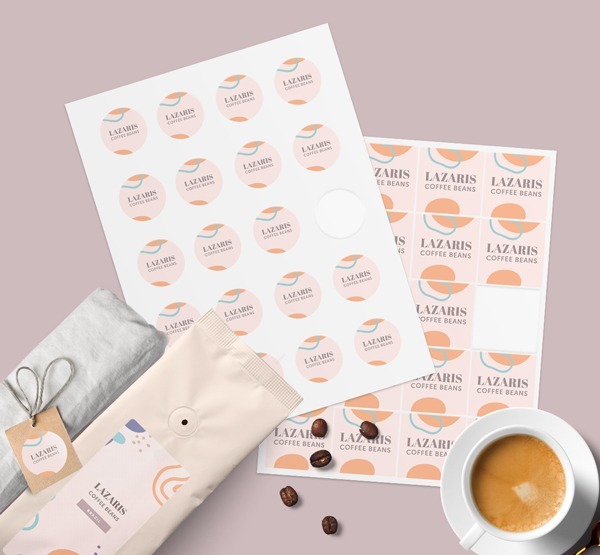 You could also use stickers to promote a social giveaway or hashtag, without forking out for a load of new marketing materials – just add them to existing collateral to generate a buzz. Popping a sticker on your finished product reminds customers who the item came from originally. For example, if you’re a photographer, pop a sticker on the back of photo albums so that each time the album is closed your branded sticker is right where you can see it. This encourages returning business. Same with retailers who sell anything really, from candles to pastries – customers will be delighted with a personal finishing touch. We hope this proves stickers can be a cost effective way of getting your brand message across as a business. As you can see, professional branding doesn’t have to cost the earth of be all bells and whistles. 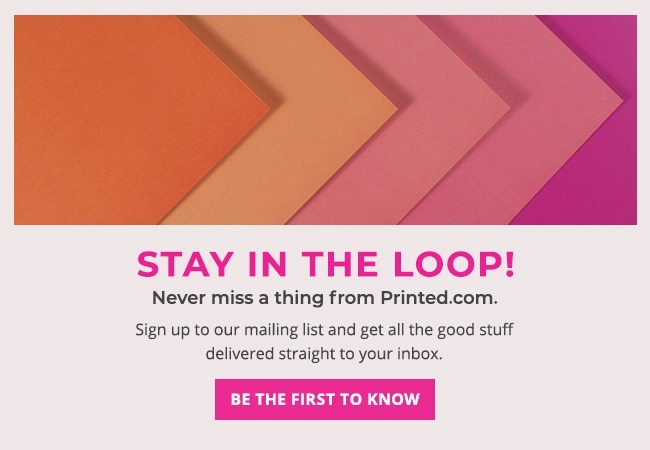 Print square, round, rectangle, A-size, clear or heart-shaped stickers and add the final finishing touch to your product, post and marketing. Sticker printing is an affordable, easy way to brand up. How do you communicate your brand across to customers? Let us know by commenting below! Some great ideas here, I use them for packaging! I use stickers for my branding as envelope seals & address labels – I think it makes the ourgoing envelopes look just a little more professional for minimal effort on my part. 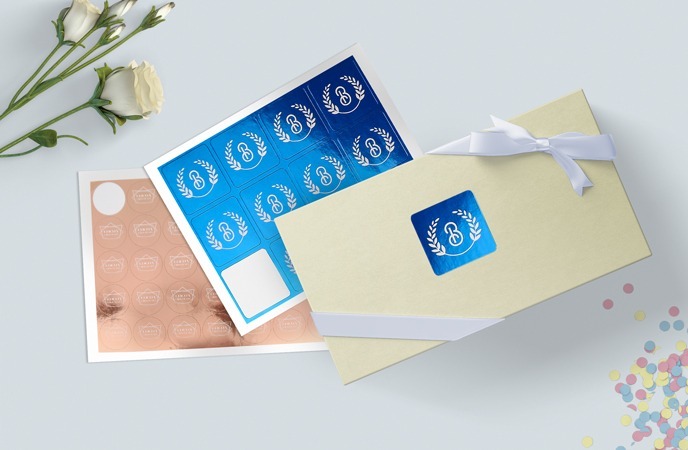 Envelope seals that can double as a little freebie with orders, are also a good idea. The main pic at the top of this post shows a set of 6 different stickers on one little sheet, but I couldn’t see a way to order these, or multiple designs on any of the sticker options. Have I missed something? Show the love – heart shaped sticker design contest results!